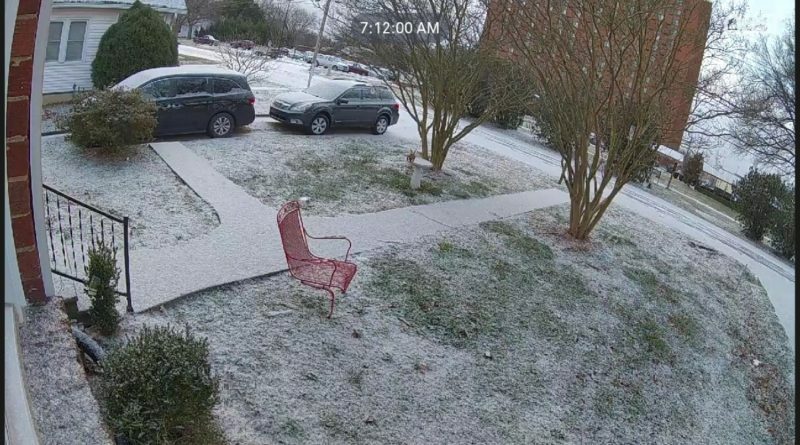 One of the things about living in Nashville is you don’t get much snow, you’re more likely to get freezing rain which is absolutely terrible. But we take our goading from our northern neighbors with a grain of rock salt and generally get on with mocking ourselves. You see, it’s not snow that makes Nashville dangerous, it’s a slick layer of ice and a non-flat terrain. It’s also the majority inaccuracy of the weather forecasts when it comes to predicting the weather inside what we affectionately call the Snow Dome. In the above pictures one of these is a two hour delay and one of them is children reporting to school. Metro listened to the dire warnings of 90% wrong meteorologists (when it comes to snow,) and didn’t use their own eyes on a day a delay might have been warranted. Not that today requires a delay, but would definitely have been a bit more comforting to know they’re actually not completely asleep at the wheel. Seven minutes after school started I got an email from Maggie’s school that weather related absences would be forgiven, however no text nor call on Metro’s notification system. So, should I have been out driving and fighting the snow to get my kid there for perfect attendance… oy. I’m not the only one complaining. The school notification system here is broken. Friend on her day off got out of bed, woke the teenager, and dragged him to school only to find it was closed and she’d received no notification. 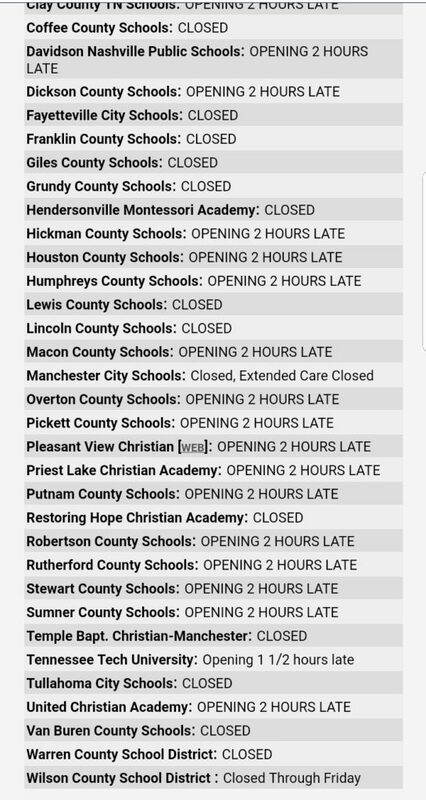 I’m at the point if the temp is below 40 I check to see if schools are closed now. One of the big issues is Metro schools is over a 50 mile area. If a kid drops an icee on the street the whole thing gets shut down.